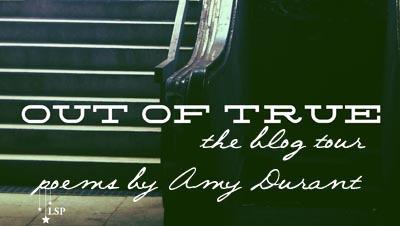 My friend Amy recently had a book of hers published. (You all know Amy, don’t you? Amy – everyone. Everyone – Amy. There.) It’s not just any book either, but a book of poetry no less. It’s called ‘Out of True’ and you can – and should – pick up a copy here (for your bookshelf) and here (for your Kindle, iPad or smartphone). It’s a marvelous book, wonderfully written and full of Amy-thoughts. Many of the poems reflect on love, but it’s not a squishy feel-good collection. Instead it’s full of wonder, pain, sorrow, joy and anger – just like life itself. Amy’s wonderous and amazing magpie heart (carefully removed and put on display). I could go on quoting her all day, but I shan’t. For that you need to buy her book. And you really do need to. Trust me on this one. P.S. Do yourself a favour and start following her on Twitter as well as reading her blog. She’s funny and clever as well as genuinely nice and friendly. This week is making me RANDOMLY WEEPY in RANDOM PLACES. Thank you for this! I love it so much! You know, I loved the line “magpie heart” so much it was what I wanted to name the collection, until I did a Google search and realized that other people had the same bright idea for other things, like songs and albums and such, so it was off the table. Little known fun book-facts! 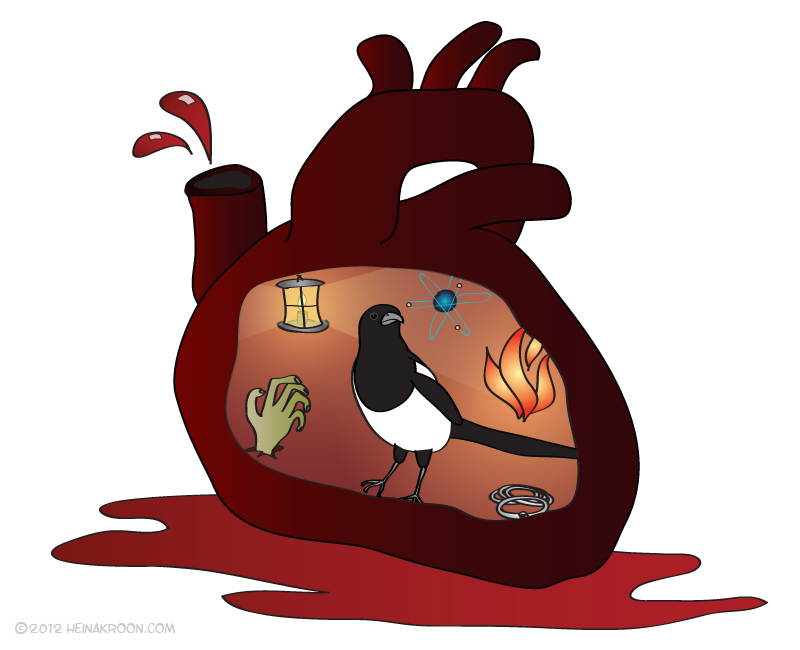 I love my magpie heart! I know what all the things in it are. It’s wonderful! Thank you thank you! You are one of my favorite people in the whole world! Art is all about visceral! I think it is rad. I especially love the little atom. Why thank you! The atom? Really? Huh. I never can tell in advance what people might like. I’m kind of a science geek at heart. I actually want to get a tattoo of an atom sometime. I see! I know that the saturnian model depicted here is positively ancient, but it’s still one of the most graphically interesting models of the atom. It is perfect. I love heart imagery (I actually have an anatomically correct heart hanging in my house I made by tearing up a poem I’d written and pasting it back together in the shape of a heart, so it’s a heart made of words, and I love it.) VIsceral is perfect. If art doesn’t punch you in the gut, it isn’t doing its job. It’s true. I am not easily grossed out. At all. Ever. I grew up in the country, you see. We grow ’em tough up there. I don’t mind guts and blood much myself – only pain and suffering. Running out of True « The Best Self-Help T-Shirt Catalog Ever!